Each has advantages and disadvantages, but for this conversation, let's focus on the sheet sander. Sheet sanders are built to work with partial sheets of standard sandpaper, whereas belt sanders require properly sized sanding belts, and random orbital sanders require round disks, typically attached to the sander base with either adhesive or hook-and-loop type fasteners. The ability to use standard sandpaper is a major advantage for sheet sanders since sheets of sandpaper are readily available at any home center or hardware store. The sheets are cut into halves or quarters and are then securely clamped onto the flat base of the sander. How Does a Sheet Sander Work? Sheet sanders employ a motor that moves the sanding pad in a circular motion at high speed. This is similar to the motion of a random orbital sander, except that the random orbit model has a special offset drive bearing that also moves the pad in an elliptical manner. When these two motions are employed together, they cause the pad of the random orbital sander to be just that: random. This will help reduce the tiny circular swirls that a standard, non-random sheet sander may leave behind. Why Choose a Sheet Sander? Sheet sanders are useful, primarily because they require readily available sandpaper, and because they are inexpensive. As such, one can be used for far more than just sanding wood. With the right type of sandpaper, cut into the proper sizes to fit the sanding pad of the sheet sander, the unit can be used to smooth out imperfections in drywall joint compound, metal, plastic, body compound when doing bodywork on a car and more. Packs of full-sheet sandpaper typically cost far less than specific sanding disks for a random orbit sander or belts for a belt sander. Additionally, a good sheet sander will often cost one-half to one-third of a good random orbital sander. Sheet sanders are available with numerous features, such as a dust collection port, electronic speed control and different types of grips. The Palm Sander is probably the most popular style of sheet sander, but some larger, two-handed models are also available for more heavy duty sanding tasks. Because the sheet sander uses a predetermined pattern of motion on the sanding pad, the sanding can leave behind swirls, particularly when moving against the grain of the wood stock. To combat this deficiency, you need to keep the sander moving, never allowing it to stop in any one place on the face of the wood, and working as much with the grain as possible. Additionally, to reduce the swirls you should sand using progressively finer grits of sandpaper, as each successive sanding (with a finer grit) will take out the swirls left behind by the previous sanding. 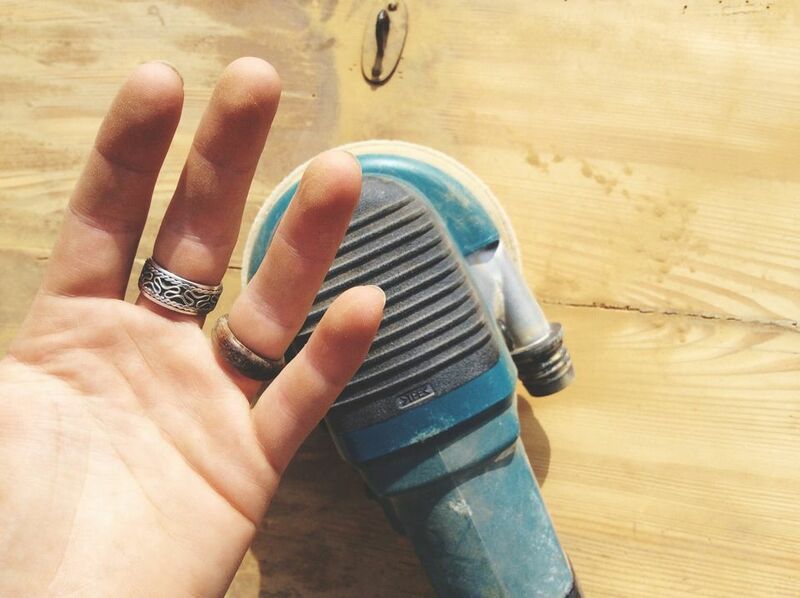 You may find that your last sanding (with the finest grit) should be followed up by a hand sanding for a perfect finish. In addition to the aforementioned swirl patterns that can result from using a sheet sander, there are a couple of other disadvantages of using one of these economical power sanders. First of all, some sheet sanders do not have the ability to collect dust, and the remaining sawdust can scratch the wood while it is being sanded. If you decide to purchase a sheet sander, look for one that includes dust collection as well as a plastic plate with punch pins that can punch holes in the sheet of sandpaper to allow the dust to be collected. Second, because of their motion, sheet sanders tend to transfer considerable vibration to the operator. This can result in greater fatigue from using one on big sanding jobs than a random orbit sander.